Today's sponsor is a gem, y'all. Andrea is a lifestyle blogger over at Four Flights of Fancy and also a style blogger at For the Love Of. She is equal parts real, inspiring, stylish, super-mom, and beautiful. If you don't already read her two blogs, you need to. From DIY projects to amazing outfits, between her two blogs you can't leave uninspired. Hi! My name is Andrea and I’m a wife, mom to 2, soon to be 3 kids, and one lover of style. 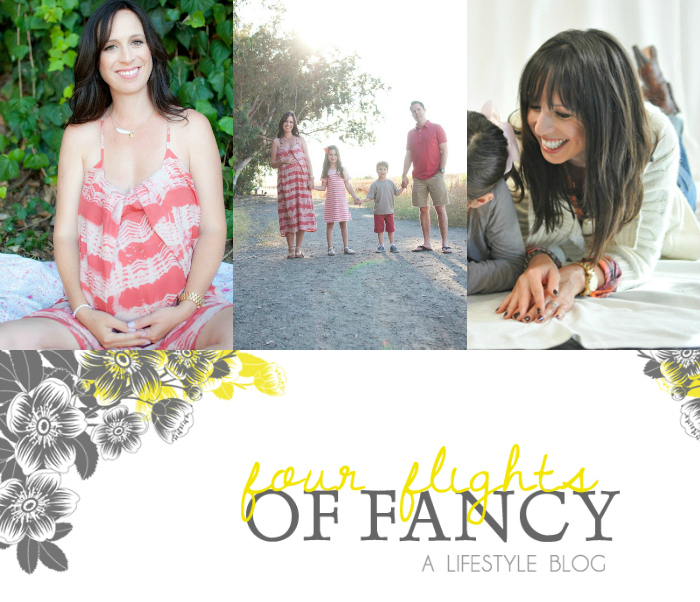 I’ve been blogging over at my lifestyle blog Four Flights of Fancy for over 2 years. 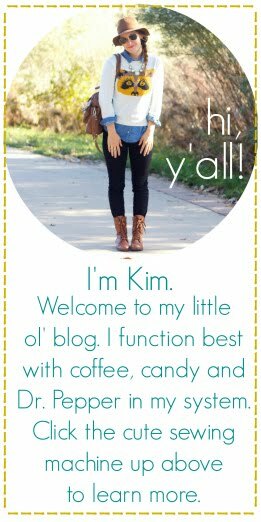 I share recipes, DIY projects, kids crafts, and write thoughts on motherhood, my faith journey, and even zombies. So if you love crafts, kids, style, neon and honest, heartfelt ramblings please visit my two blogs Four Flights of Fancy (I call that one my “life blog”) and For the Love Of, my style blog. Oh, and if I wasn’t already busy enough, I also just started writing for Disney Baby at their new blog and I share lots of baby and pregnancy related posts. I love blogging and feel very blessed that finally, after a lot of hard work, I can now call blogging a job and not just a hobby! 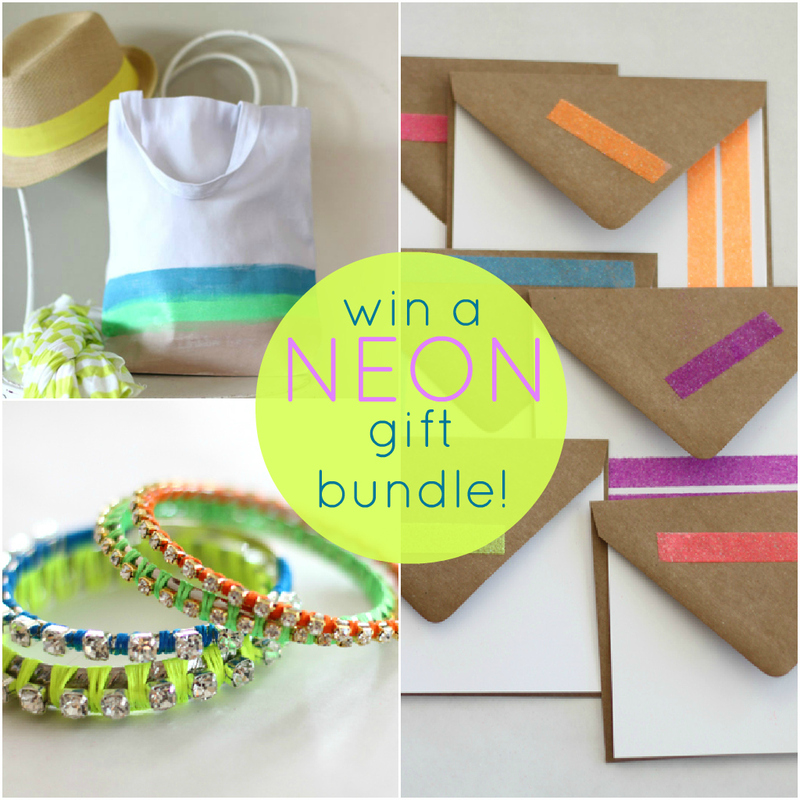 Today, Andrea is giving away a BALLER bundle of Neon goodies, valued at over $40. You can check out all of her neon DIY projects here to see more of what you might be receiving! The bundle includes a random assortment of items like the notecards pictured below, a tote bag, and some fun jewelry. I'm totally jealous...I totally share Andrea's affinity for the neon trend. Be sure to find Andrea at the following links. She's a super fun follow, promise! I think the neon colors are beautiful! However, I would have to say in moderation. love the neons! Such a great addition to any outfit! love this! such fun pops of neon! Neon all night and all weekend, but not appropriate for my workplace! I really love the neon trend! The hat is adorable. i think the neon trend is great when it's done in pops of color, like in neon a bag or shoes, but i have to admit i havn't gotten any neon items for myself till now. I love neon 100%! I wear it about daily! I like the odd neon piece to add colour and excitement to my outfit. I haven't gotten on the neon bandwagon yet but hopefully this will help. i like the neon trend. i can't pull off too much neon at once, but accessories are cute! i mean i don't think you should walk around looking like a giant glow stick but pops of neon are great for summer! I love the neon trend. Very summery and fun! Just trying to get up the nerve to wear it! 100% neon - no holding back! Can't wait to go peek at her blogs! Those neon bracelets are really cute for summer. Even my barely tanned skin would look okay with them. I LOVE it and am still working on figuring out how to incorporate it into my life! I haven't mastered it quite yet. Soon though. I love it but I think I could only try it with my personal style sparingly. I love that it's bright, makes me feel happy! I think neon yellow is my fave color, and I am a big fan of the neon trend. I love the neon- I usually try to do a pop of neon when I wear it! I voted for your Vespa pic! It's so pretty! I love a splash of neon, especially paired with a neutral! Excited about the giveaway!